Opening a business bank account for your startup is one of the most important decisions you will make. There are many reasons for conducting business banking. First and foremost, you want to keep your personal funds separate from your business funds. In addition, a business checking account makes you appear more professional in the eyes of clients. When you open a business checking account, you will receive a dedicated company debit card and checks inscribed with your business’s name. When opening a bank account for your startup, remember to open a business bank account rather than a personal bank account. Before your business begins accepting payments or making business-related transactions, it is best to establish a bank account. With a business checking account, you can separate your personal money from the funds you use solely for business purposes. 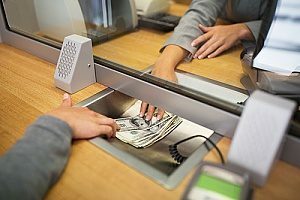 Most business checking accounts have many of the same features as personal accounts, such as access to a debit card, checks, and online banking features. However, with a business checking account you can build your business’ credit rating. Most customers will also feel more comfortable writing a check to a business, rather than a person. While there is numerous business banking products to choose from, the most common include business checking and savings accounts. Checking accounts tend to be more transactional in nature. With this type of account, banks expect you to deposit and take out money on a regular basis. They also come with the ability to make payments via debit card, checkbook, and sometimes even mobile apps. Savings accounts are similar to an investment as you are giving the bank access to your funds, usually for a longer period of time than with checking. Many savings accounts also earn interest over time. Once you have decided if you want to open a checking account, savings account, or both, you will need to speak with a banker. 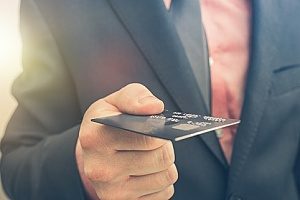 A banker can tell you what features and benefits the business banking products you choose offer, and how to open an account. You will likely need to provide documentation that verifies the name and nature of your business. You may also need to show that your business is registered with the Internal Revenue Service (IRS) and that you are legally authorized to open a business account. The documents you need will depend on how your business is organized. Sole Proprietorship: If you have a sole proprietorship, you may just need to provide a social security number or federal taxpayer identification number (TIN) if you have one. If your business requires a license, you may also need to provide a government-issued license or certificate. General Partnership: If you are involved in a general partnership, you will also need to provide your partner’s TIN, as well as a copy of your partnership agreement. A certificate that shows both partners’ names may also be required. Limited Liability Company: In addition to a TIN, a limited liability company may need to provide a copy of the articles of organization. In some cases, an additional LLC documentation may be needed to show more information. Corporation: An individual within a corporation will need to provide a TIN, articles of incorporation, and in some instances other documentation that provides corporate information. Once you have the appropriate documentation in hand, you can bring it to your bank to open your business bank account. When you submit this documentation, be sure to bring in photo identification to prove your identity, along with any business registration papers you may have to verify your established business. To make a business bank account active, you may need to provide an initial deposit. The amount required for the initial deposit can range from bank to bank. Be sure to ask your financial institution about any monthly fees or minimum balance requirements that may come with opening a business bank account. Also ask when you can expect your new debit card and checks to arrive. Starting your own business comes with a lot of responsibilities. To help your startup run smoothly, consider opening a business bank account. With a business bank account, you can easily keep track of expenses, receive and deposit payments, manage employee pay, and plan your budget with accuracy. Opening a business bank account consists of just a few simple steps that can be completed in as little as a day. For more information about the various types of business banking products available or for help setting up a business banking account, contact the business bankers at FVCbank.